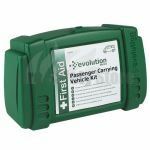 Vehicle first aid kits are a legal requirement and an essential item for those of you on the move. 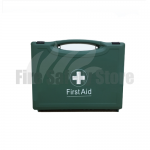 We have a wide range of vehicles first aid kits, all in hard cases for increased durability, that cover a variety of travelling situations. 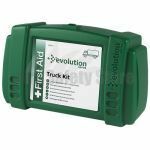 We also have specialist kits for trucks and larger vehicles and individual passengers. 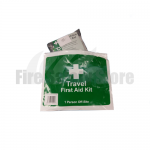 Our vehicle first aid kits contain everything you need for minor incidents whilst travelling. 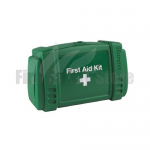 They are easily detachable to allow them to be taken to the location of the casualty if required. 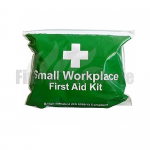 Our kits include items recommended by statutory bodies fo travelling situations and include all compliant products. 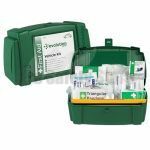 The kits themselves are easily identifiable as they contain the well known first aid cross marking on the front of the case. 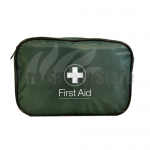 Quantities and individual components differ based on vehicle size so for specific product information you should click on the products themselves.